We are pleased to be part of Lee & Low's Puffling Hunt Blog Tour. Don't worry; we're not actually hunting pufflings. It's a scavenger hunt. 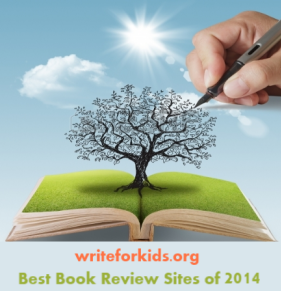 Readers should be on the lookout for illustrations of pufflings on a number of kidlit blogs this summer. Lee & Low's blog will have all the details coming soon: http://blog.leeandlow.com/. Last month my family spent ten days sailing the Maine coast. One of our highlights was sailing past Eastern Egg Rock. It's a small, rocky island that serves as the summer home and nesting ground to Arctic Terns, Atlantic Puffins and a variety of other seabirds. We had our binoculars in hand as we sailed close to the island hoping to see puffins on the rocky shore. We carefully scanned the island and were disappointed there were no puffins to be seen. Then my son spotted four tiny black birds with orange beaks swimming off the port side of our boat: puffins! It was our first (and only) puffin sighting. My husband, son and I cheered and gave each other high fives. You can imagine my delight when I returned from my sailing adventure to find a copy of Puffling Patrol in my mailbox. 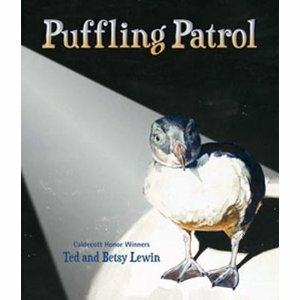 Husband and wife team, Ted and Betsy Lewin, have taken research to the extreme in their nonfiction picture book, Puffling Patrol. The Lewins didn't just read books and articles about puffins to gather information for the book, they traveled to Iceland to help residents of Heimaey save pufflings (baby puffins) that had lost their way. The black and white seabirds can be found in a handful of places including Maine, parts of Canada, Greenland and Iceland. Puffins spend the summer nesting on volcanic islands off the coast of Iceland. By the end of summer, the pufflings are ready to fly on their own as their parents head north for the winter. Some of the young puffins become confused by the lights from the town of Heimaey, and the birds fly into town instead of out to sea. Townspeople have formed a group, the Puffling Patrol, to rescue the birds and return them to the ocean. The Lewins describe the work of the Puffling Patrol in a first-person narrative that will engage young readers. The authors spent time with researchers before visiting the home of children, Dani and Erna, who stay up late to look for pufflings who have lost their way. Authentic dialogue is interspersed in the narrative. Watercolor illustrations have a realistic style, like a photograph at times. In one illustration, a lost puffling looks directly at readers, the light from a flashlight shines on the bird contrasts against the black background. A two-page spread illustrates the children carrying boxes of pufflings to the sea while a the black volcanic shoreline borders the green hillside. 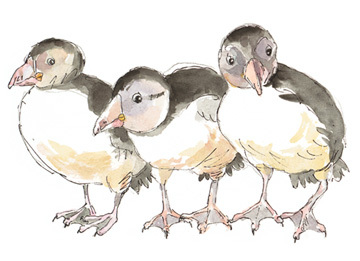 Smaller pen, ink and watercolor illustrations depict the children at the Natural History Museum as their rescued puffling is weighed and measured. Back matter includes a glossary of terms with pronunciation guide, list of recommended books, and information about the Heimaey volcano of 1973. 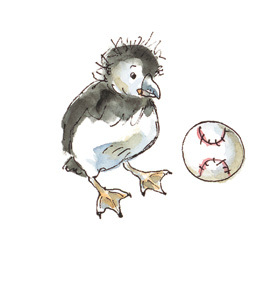 Puffling Patrol would make a superb read aloud in an elementary classroom or library setting. The book will also appeal to children who enjoy learning about animals and nature; and it demonstrates to children how ordinary people can make a difference in our world.